Humans, a TV series co-produced by AMC, Channel 4, and Kudos, has been set to return with another season. The series is set in the not so distant future where androids, referred to as Synths, are used by virtually everyone from families to corporations. In this slightly sci-fi world, there are a few Synths that have been created with true artificial intelligence. Despite the clichéd premise, the result is surprisingly well executed, and the use of androids in a modern day setting has always interested me, so as a sci-fi fan, this is an entertaining exploration of how androids might affect the modern day economy and society. In America, the series is currently airing, so I recommend checking it out if the premise sounds interesting. 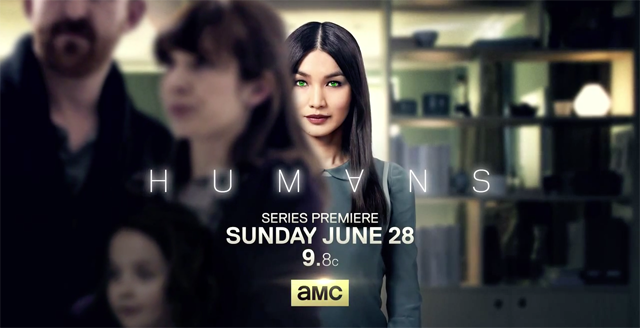 Are you watching Humans? Please comment below and let me know!